A color so scrumptious, it looks good enough to eat…and you certainly can if you watch out for the thorns. But it may not be the sticky sweet treat you’d expect for the delectable pumpkin-pie caramel color. 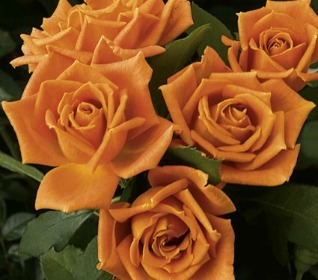 Buttery-rich coppery buds open into clusters of fragrant octobery-orange beauties held tightly against shiny green leaves—like happy jack o’lanterns nestled in the field. It’s lip-smackin’ for the landscape and certain to delight on the very first flower. Appreciates a little afternoon shade. 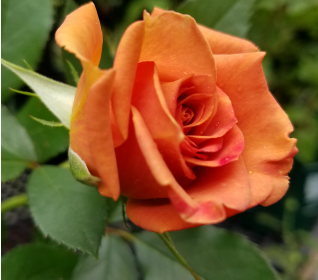 Summer Rose Care Peach Rum Sauce Recipe…YUM!